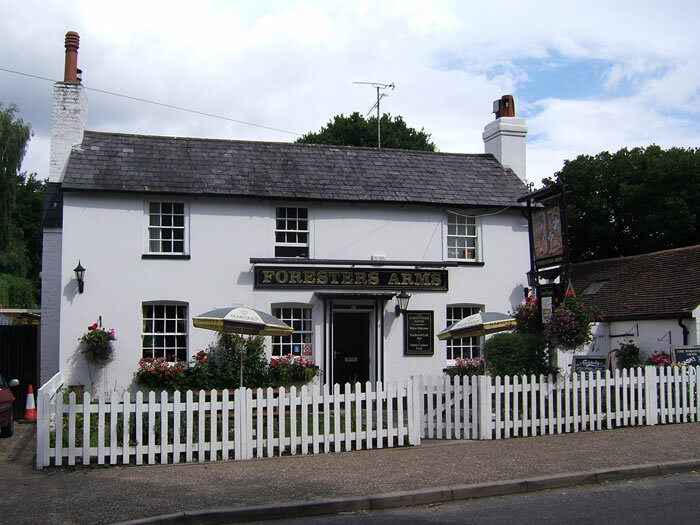 I lived in Horsham for about five years before I discovered the Foresters Arms tucked away in a row of houses just off Brighton Road. It is a friendly, charming, local pub with slate floors, low ceilings, and large fireplace. There is an attractive part-walled garden at the rear of the pub and a couple of tables in a small garden at the front. There are three real ales available including at least one local beer. The pub is ideally situated for mountain biking through St Leonard's Forest. From the pub, turn left and then right, almost immediately, onto Hammerpond Road. Follow the road for 1.5 miles [2 km] until Roosthole car park. Turn left into the car park area and there is a track with wooden posts on the right which heads uphill into the forest. NOTE: Please be aware that some tracks through the forest are footpaths. Treat other users with respect.